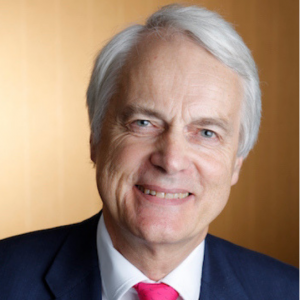 Sir Robert Francis QC, has been confirmed as the new Chair of Healthwatch England, taking over from Jane Mordue who has served in the role for a number of years. Sir Robert Francis specialises in medical law and is highly regarded Barrister, he has chaired several high-profile inquiries within health and social care and has made a positive social and cultural impact within the NHS. In recent times, Sir Robert Francis has become well known due to the well-publicised Francis Inquiry report, which is in relation to the failings at Mid Staffordshire Foundation Trust back in 2013, find out more about this report here. We certainly think the new chair will provide a plethora of knowledge on the judicial system with respect to the medical law. Sir Roberts skills and experience will ensure that patients within the health and social care system receive the best possible healthcare and that this will be central to any policy or decision-making process with Healthwatch. “I have always been very clear in my work to date that those who run, commission and regulate services make the best decisions when they listen to and learn from the experiences of those they care for. With the health and care sector under significant pressure, they need a strong and independent Healthwatch to help them hear what people are saying. We here at Healthwatch Croydon, are very excited to welcome our new Healthwatch England National Chair and look forward to the ideas and new approach he will bring. To find out more about Sir Robert Francis visit the Healthwatch England site.